Sylvain Maréchal (15 August 1750 – 18 January 1803) was a French essayist, poet, philosopher, and, as a political theorist, precursor of utopian socialism and communism (his views on a Golden age society are occasionally described also as utopian anarchism). Maréchal was also the editor of the newspaper Révolutions de Paris. He soon developed his own project of an agrarian socialism where all goods would be shared. In Fragments d'un poème moral sur Dieu ("Fragments of a Moral Poem on God"), he aimed to replace elements of practiced religion with a cult of Virtue and faith with Reason (see Cult of Reason). His critique of both religion and political absolutism (Livre échappé du déluge - "Book Salvaged from the Flood", a parody of the Bible) and his atheism caused him to lose his position at the College; Maréchal was forced to live off his literary output. In 1788, he was sentenced to four months in prison for publishing the Almanach des Honnêtes Gens ("Honest Man's Almanac"). The months were given names numbers one through twelve (for example, March is the first month, listed as "mars ou princeps", while February is "février ou duodécembre". The calendar also replaced the usual figures of a calendars of saints with famous characters (such as Blaise Pascal). (Later editions of the Almanach used the French Republican Calendar.) From this moment on until his death, he published anonymously, to prevent further prosecutions. 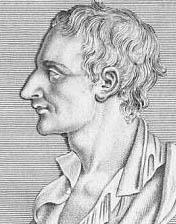 His later works include an 1801 Projet de loi portant défense d'apprendre à lire aux femmes ("Law Project Preventing the Teaching of Reading Skills to Women"), which showed the limitations of his egalitarianism, as well as a Dictionnaire des Athées anciens et modernes ("Dictionary of Ancient and Modern Atheists"). He died at Montrouge in 1803. Error in : Spanish reggae musical groups doesn't exist.